Creating a brush reef with dead trees. As we age, it’s natural to experience physical decline. That’s what’s happening to Texas’ reservoirs. Many Texas reservoirs were formed years ago by constructing dams across rivers. As water filled the low lying areas it submerged trees and shrubs, which became fish habitat. That organic matter’s been breaking down ever since—and has reached a breaking point in some reservoirs. 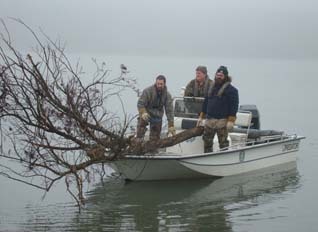 This past fall, with the help of local volunteers—and financial support from the Brazos River Authority (or BRA)—Inland Fisheries staff from TPWD completed several projects to improve fish habitat at Aquilla Lake, Lake Georgetown and Granger Lake. Each water body received a different treatment, from replanting water willows and establishing new plant colonies, to creating artificial reefs, to sinking brush piles—all of which help to improve fishing. These projects were completed with funding from the Brazos River Authority as part of a multi-year effort to improve all 11 BRA System reservoirs in the basin through 2020. Learn about these habitat projects as well as others that have taken place in reservoirs across the state on the TPW website. That’s our show…For Texas Parks and Wildlife, Cecilia Nasti. There’s a name for everything—including those things about which we don’t give much thought. Like that little waxy lump between the beak and eyes of certain birds. And it’s usually found in raptors and parrots. 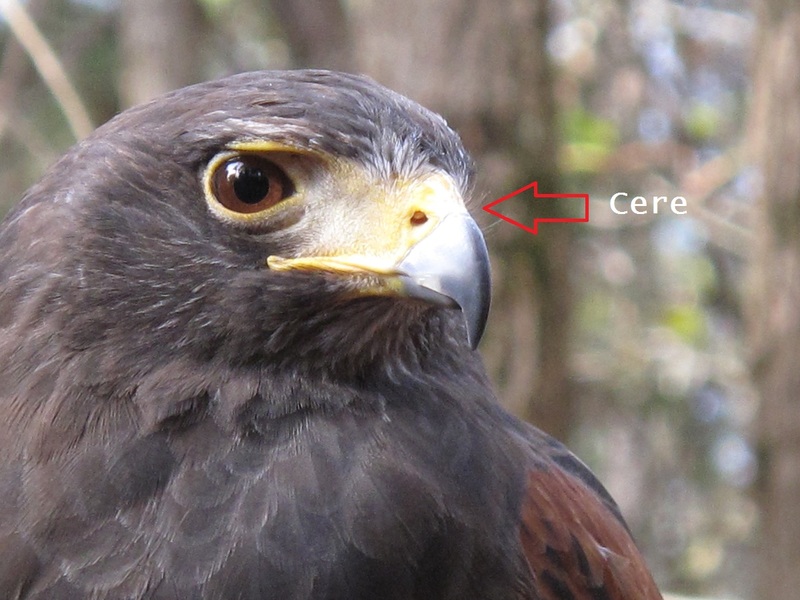 Ornithologist, Cliff Shackelford calls this feature a cere (seer). Cere—c-e-r-e. And for people that like crossword puzzles, this might be a good one you might often see. If you have a pet parakeet, parrot, or cockatoo, you will see that waxy, hard covering around the nostrils. And that featherless hard area is the cere. People will see them in caged parrots, but in raptors, too. So, falconers will notice these unique features on these birds. And it’s just a waxy, hard covering to expose the nostrils. So is this structure functional or just decorative? It’s not very decorative, although it can be brightly colored in some raptors. But there’s no real understanding why these groups of birds—raptors and parrots—have it and no one else does. There’s another similar structure on a dove and a pigeon called an operculum; why don’t all birds have that? So, there are certain things that not all birds have. Such as the cere (seer). And that’s our word of the day here: cere. Cute and cuddly, but deadly to birds. As cute and as cuddly as they are, cats are born killers. Some people estimate that cats will take a total of 39-million prey animals per year. Prey animals include invertebrates, small mammals, reptiles and birds. Kelly Simon is an Urban Wildlife Biologist with Texas Parks and Wildlife. Indoor cats are safer, healthier and live longer than outdoor cats. If your cats roam free, place bird feeders and baths in open areas away from places where they can hide and ambush birds. …and realize that by not spaying or neutering our cats, we are producing an awful lot of predators each and every year. Finally, do not release your unwanted cats in rural areas. It is NOT more humane than taking them to a shelter where they will be housed, fed and with luck—rehomed. 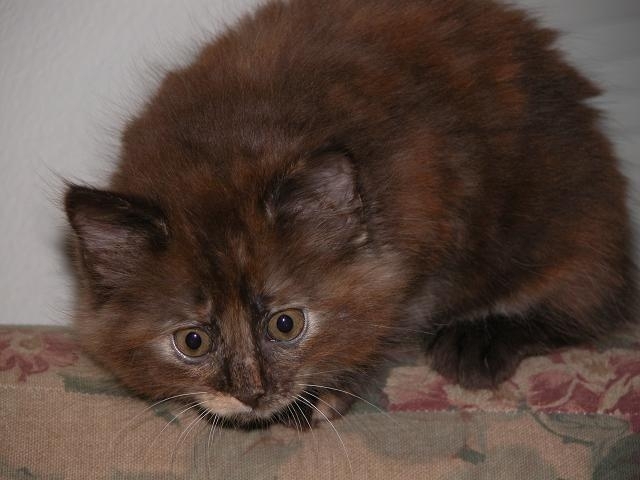 Released in an unfamiliar setting, former housecats are confused, terrified and vulnerable. If they survive, that’s when they become a threat to wildlife…and it’s not their fault. Formerly feral cat, now indoor only kitty. It’s estimated there are more than 100-million cats in America—both housecats and feral cats. 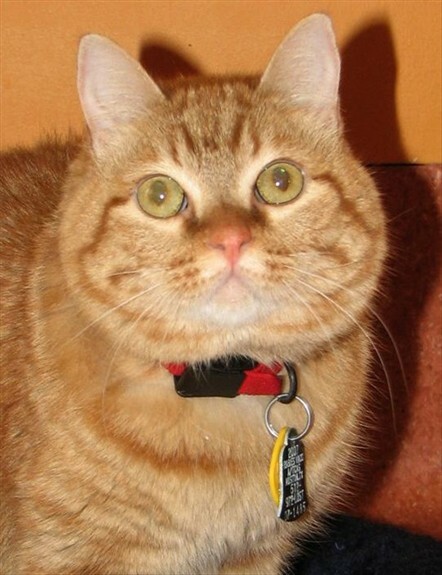 A feral cat is not under the direct care of humans…they are the ones out roaming around. They outnumber them and they out-compete them. So they are using the same kinds of prey animals that our native predators, like hawks, are using; and they’re exerting pressure on them. Small mammals, like mice, account for about 70 percent of a feral cats’ prey, while birds account for at least 20 percent. A single cat can kill up to 1,000 animals a year. They can even cause the endangerment of some species, especially those species that are already under pressure from habitat loss or habitat derogation. Feral cats aren’t the only feline predators decimating small wildlife. Even well-fed housecats—whose owners allow them outside—hunt and kill prey with precision and skill. From a wildlife management standpoint, we really should be keeping our cats indoors. We’ll talk about that tomorrow. Find information on cats and wildlife on the Texas Parks and Wildlife website. That’s our show for today… Funding provided in part by Ram Trucks. Guts. Glory. Ram. Texas Parks and Wildlife is accepting nominations for its brand new Prosecutor of the Year Award. The award reflects the critical role legal professionals play in the protection of Texas woods, waters and wildlife. 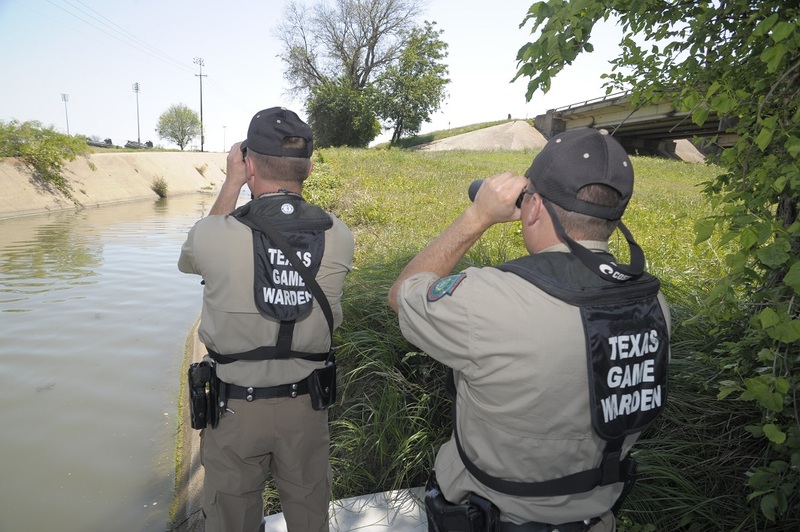 Texas Game Wardens may spend months investigating and building cases against lawbreakers who kill endangered species, poach wildlife, or dump polluting chemicals in waterways. Partnership with local prosecutors ensures violators are brought to justice. The Prosecutor of the Year Award aims to formally recognize a courtroom champion each year for exemplary efforts in prosecuting fish, wildlife, water safety, natural and cultural resource or other environmental crimes in Texas. Nominees may include any prosecutor at the county, district, state or federal level whose action occurred during the previous two calendar years. Nominations are due May 15 each year, and award recipients will be announced at the August meeting of the Texas Parks and Wildlife Commission. You are currently browsing the Passport to Texas weblog archives for March, 2018.